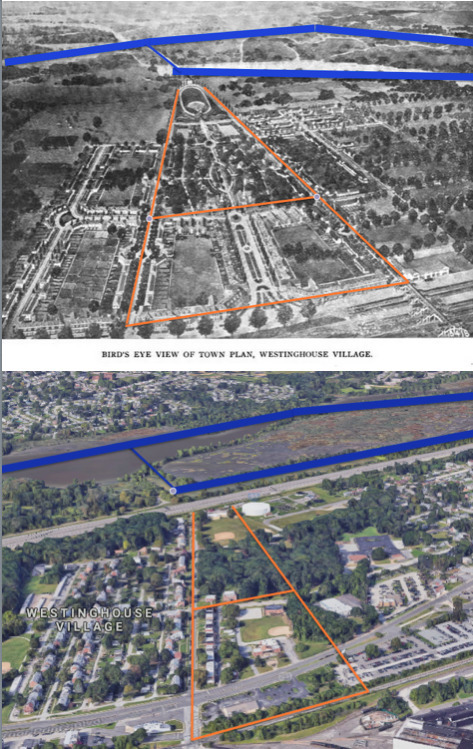 Comparison of 1918 sketch of Westinghouse Village to present day: Top: Clarence W. Brazer's preliminary town plan from 1918 Bottom: 2018 satellite image of Westinghouse Village Corresponding streets are marked in orange, with waterways marked in blue. 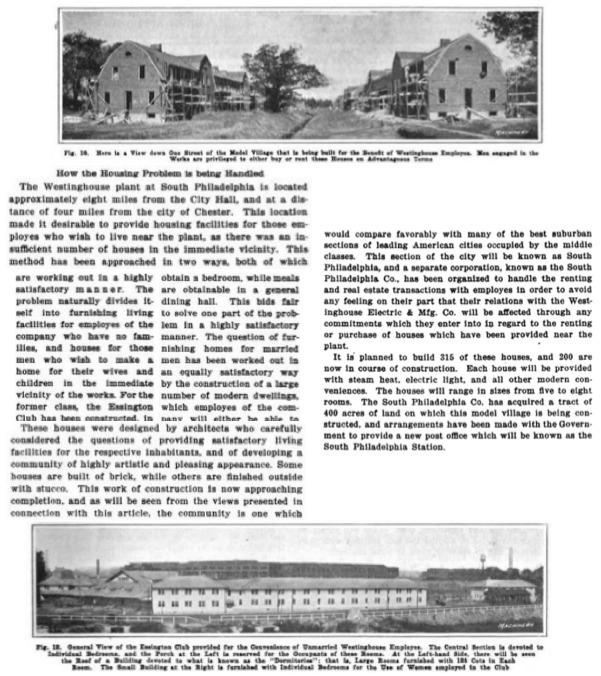 In 1918, when the Westinghouse Electric Corporation's new Essington plant came into operation, concern over employee welfare in industrial systems was coming into stride. 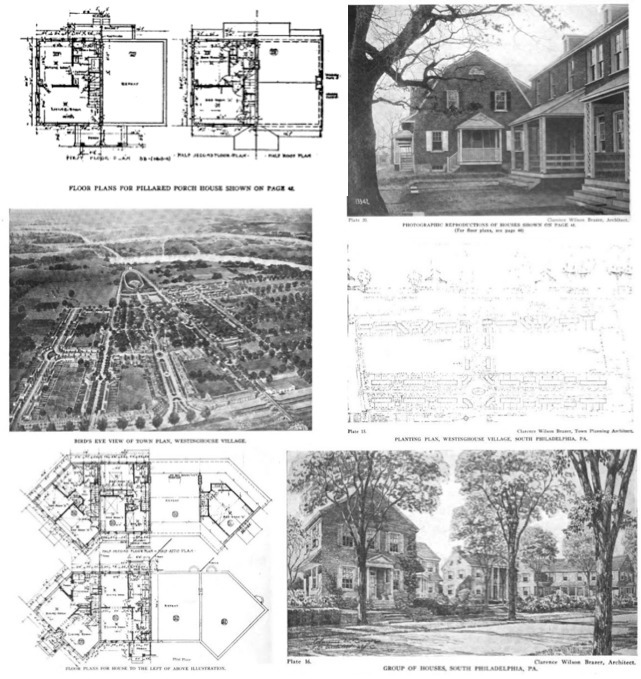 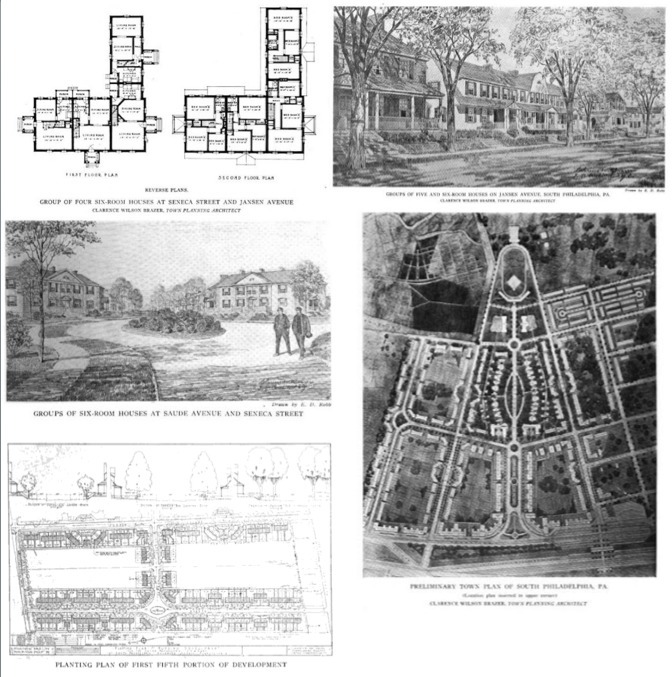 The existing housing in Tinicum Township was hugely insufficient for the projected capacity of the plant, and Westinghouse subsequently commissioned the development of housing and apartments for its employees. 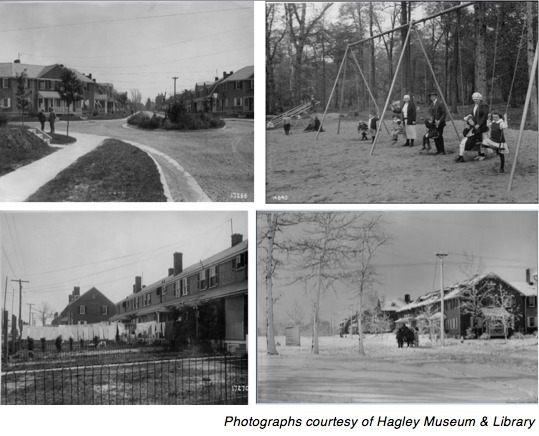 Westinghouse village was originally designed to support 500 single male employees in the Essington Club apartment complex and 315 families in private homes. 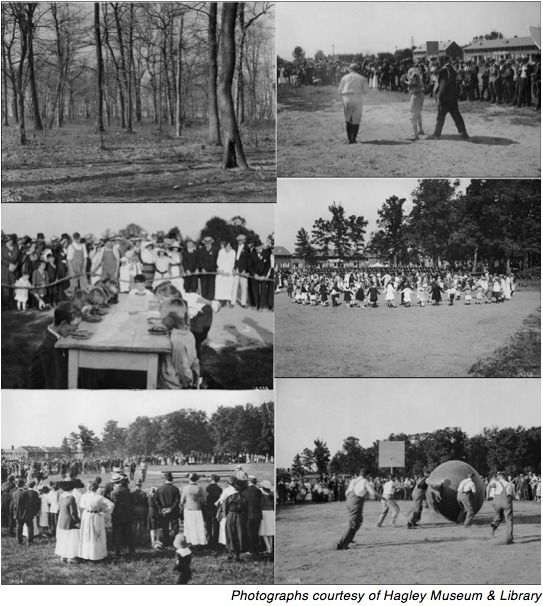 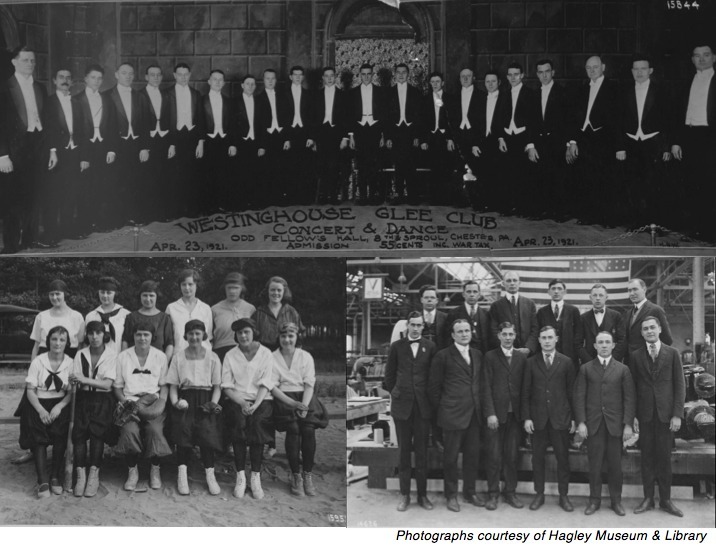 Through central recreation areas, shared experiences, and company sponsored events, Westinghouse became central to the sense of community in Tinicum Township.